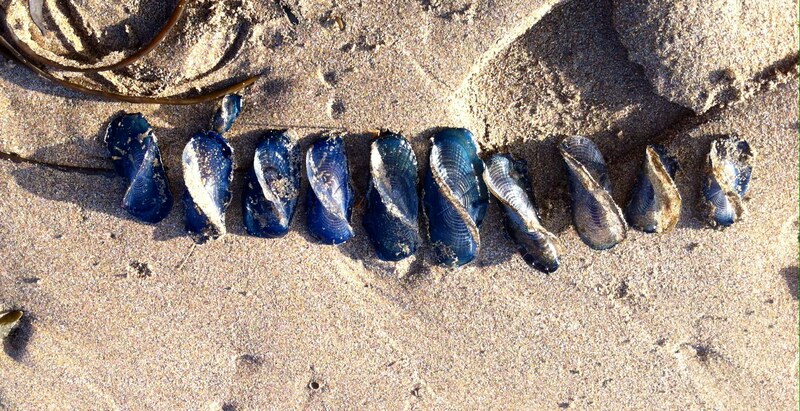 Many Velella velella were washed up on Jalama Beach,CA. They were found on the sand during low tide and none that we saw had the blue coloration that they have when alive. They were all clear and looked almost like plastic. Thanks for the detailed observations.